What’s the best way to ring in the New Year? Update your color wardrobe! New colors are trending every year. You can use these trending colors as interior redesign inspiration. With 2018 here, will you update your color wardrobe? There are many ways to be in-style in this New Year. But before you start planning your updated color wardrobe, you need to know where to begin. So what are the 2018 color trends? Move over 2017! 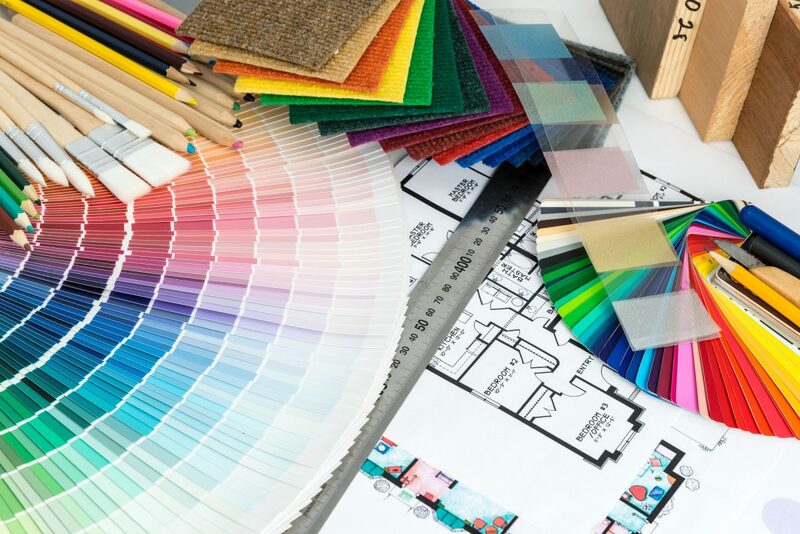 Read on and find out the color trends of 2018. It’s time to splurge on paint and decor for the New Year. Black is always in season, but it’s more prevalent in 2018. Don’t be afraid to goth out on a new wardrobe. And in interior design, black paint and decor make a great addition to any room. Are you not a fan of the super edgy look? Use black as an accent wall. Mix black with white or even black accents on wood. You can also go for off-black shades, such as onyx. Even dark purple is an effective dupe for pitch black. A variety of multi-toned reds and purples is the raging color trends of 2018. These various berry tones will leave your mouth watering — due to their beauty and their reminder of your favorite fruit. There’s a berry color for everyone. For the girly type, choose a reddish-pink for that strawberry and raspberry look. If your favorite color is blue, a blue raspberry will make a great addition to any room. If you’re a bolder person, try going for a neon red. Several berry tones are more subtle, adding an attractive warmth to any room. The sea has been raving these last few years, from mermaids to ocean-inspired hair. But it seems like Poseidon’s fury is reaching its peak in 2018. The blue-green shade of the sea serves as the perfect wall color. The blue-green hues resonate a calming vibe, but they’re also beautiful to look at. Bring the beauty of the ocean into your home. Paint your walls a subtle shade of teal. Mix teal walls with wood furniture for the classic beach vibe. While traditionally seen as a bland shade, gray is undergoing a transformation. No longer are gray rooms dull and boring. In 2018, gray is a major trend. 2017 saw neutrals at their forefront. 2018 is continuing this neutral look, but with grays rather than beige. Rather than expressing neutral warmth, gray expresses a cool neutral. This helps enhance tranquillity, especially in a bedroom. Every year, new colors beat out the previous year’s colors. 2018 is no different, but 2018 combines the mix of charm and versatility. Invite guests with neutral tones such as gray. Wow your guests with a variety of berry and sea shades. And if you truly want to be bold, go full Morticia Addams and paint your walls black. Do you need your home painted for 2018? If you’re in St. Louis, take a look at our services.